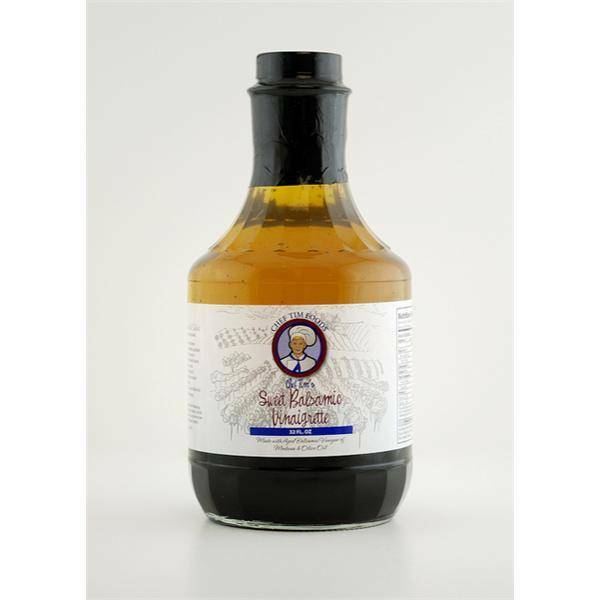 A deliciously sweet balsamic vinaigrette made with olive oil and aged vinegar of Modena with accents of garlic and black pepper. Absolutely delicious as a salad dressing. It's also an incredible marinade for all meats and vegetables. My vinaigrette is a direct complement to Bleu cheese, Feta cheese, and fresh Mozzarella. It’s great on hoagies, rice, pasta salad, and char-grilled vegetables. I bought two large bottles of your sweet balsamic vinaigrette at the Carlisle Expo. I love it on kale. I just went to the Spring Festival in Warrenton, Va. May 21st. 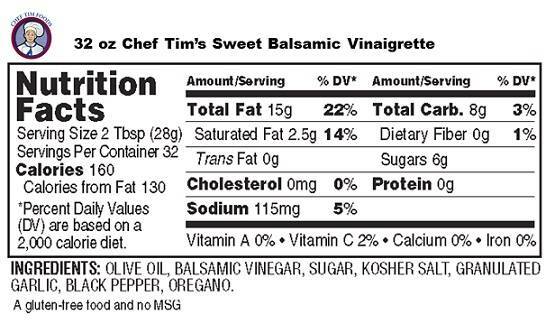 This is the 1st time I have tried your Sweet Balsamic Vinaigrette and it is great!!!!!! As a matter of fact I should have bought more. I am going to order more in a few days.